Technology has always been bringing about improvements in our way of life and our heath care systems. In the future the most important tool for a doctor the stethoscope will just turn redundant. How?? A team at MIT media labs has come up with a very interesting system to monitor and check vital signs of a person/patient without the need of any physical contact or sensors. The system works by simply putting a person in-front of a low cost camera like a webcam and gives exact and accurate information about pulse rate of the person.The system works through a complex video imaging system called "Non-contact, automated cardiac pulse measurements using video imaging and blind source separation". Developed by Ming-Zher Poh, Daniel J. McDuff, and Rosalind W. Picard. The system works by measuring slight variations in brightness produced by the flow of blood though blood vessels in the face. An open source software is used to detect the position of the face in the video image. (ICA) which detects volumetric changes in the facial blood vessels during the cardiac cycle and thus modify the path length of the incident ambient light such that the subsequent changes in amount of reflected light indicate the timing of cardiovascular events. This results in detecting the heart beat rate by comparing it with the pulse determined by a commercially available FDA approved blood-volume pulse sensor. Post processing and analysis of both the video and physiological recordings are done using custom software written in MATLAB. I know its a bit complex to understand but so is the technology, if any question arise put it in the comments. The biggest challenge for these researchers was the movement of the subject but again signal processing and Independent Component Analysis helped to solve that problem. The system is quite accurate and agreed to within about three beats per minute with the rates obtained from the approved monitoring device.The system can get accurate heart beat readings of upto 3 people standing in-front of the camera view. Such a system could be used to track and monitor heath of a person over a long period of time. The information can be stored/downloaded on a computer and your doctor can keep a track to make note of any deviation from normal. 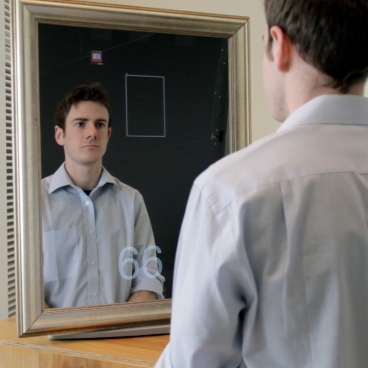 The team has already integrated this system in the form of a bath room mirror so that people can get their pules rate in real time by just standing in-front of the mirror. This project won third place and a prize of $50,000 in June in the second annual Primary Healthcare competition run by CIMIT (Center for Integration of Medicine and Innovative Technology). The next step for the Ming-Zher Poh and his team is to develop the capability to get blood pressure and blood oxygen measurements from the same video images.